I have a weird relationship with summer. Humidity and extreme heat (and mosquitos) are on my “make me cranky” list. But the food? Oh the glorious food and drink of summer. There’s a romance to all those perfectly fresh and ripe fruits and vegetables and the pockets of smells of grilling burgers and goodies as you drive through the countryside. Hard Cider Sangria-by-the-Glass is my newest addition to the list of things to sip while sitting on the front porch with my feet propped up on the rails. It’s almost embarrassingly easy to make and calling it Sangria will probably make all of Spain and Portugal (and any other globally located wine snobs) cringe deeply, but it is a properly peasant drink reminiscent of the wine-soaked-fruit beverage so ubiquitous in summer, so all is forgiven; at least in my book it is. Hard Cider Sangria-by-the-Glass begins when you pile thinly sliced apples, a handful of blueberries, and a couple of sliced strawberries into a mason jar. So far, so good, eh? Don’t worry, we’re about to display our country cousin tendencies in a big way. Instead of wine being poured over the top, we’re opting for a crisp hard cider. 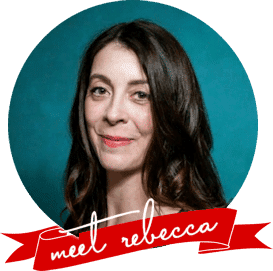 I’ve tested this with the Crisp Apple from Angry Orchard as well as with King Baldwin: an amazing locally produced hard cider from Bellwether Cidery. Both choices were amazing. The good news is that the variety of hard ciders hitting the market is exploding. You’ll likely be able to find quite a few varieties from which you can choose. This was tasty as is, but I needed a way to keep my Hard Cider Sangria-by-the-Glass cold, because it was HOT the other day, so I did something that is either genius or dreadfully offensive, depending on how carefully you guard the purity of your drink. I snagged one of my kids’ lime popsicles from the freezer and plopped it right into the jar. Oh, don’t even look at me like that. They were GOOD lime popsicles… not neon green, just real lime juice and a little sugar. (Nestlé Outshine is the brand, in case you’re wondering.) Was it classy? Oh heck no. But was it delicious? Incomparably. And we will be repeating this on as many occasions as we possibly can this summer. We’re already trying to figure out how we can manage to pull this off when we go camping for Independence Day. Any brilliant ideas on how to get lime popsicles to stay frozen at a camp ground? 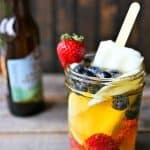 There’s not much cooking involved here, it’s more about piling fruit in a glass, pouring in hard cider, and using a lime fruit pop as a stir stick/ice cube. HOWEVER, I do recommend you peel your apples and cut them as thinly as your knife will allow. This will maximize the surface area for soaking in the hard cider and infusing it with more appley goodness. Speaking of apples, I advise using a tart, crisp apple to slice. They tend to brown less quickly and will have more flavour to bring to the party. Strawberries and blueberries are a natural summer choice, and delicious, but you can roll with whatever is available, fresh, and seasonal when you make your Hard Cider Sangria-by-the-Glass. Peaches would be fabulous as would raspberries or cherries. Get creative. Why by-the-Glass? As much as I like sangria, I’m a lightweight and don’t drink much. Making an entire pitcher of the stuff is a little daunting to me and feels like a ridiculous choice between drinking it all so it doesn’t go to waste or pitching perfectly good and tasty sangria. Hard Cider Sangria-by-the-Glass solves the problem (much like my Mixed Berry and Basil Sangria-by-the-Glass) by being made as a single serving. Mercifully, it’s easy enough to quickly throw together another glass if you’re feeling indulgent. 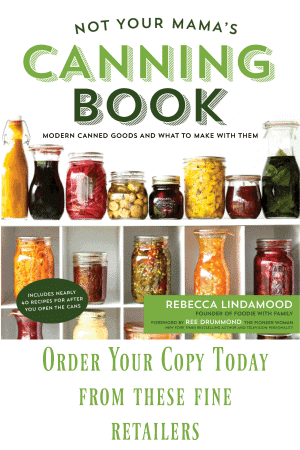 And if you’re prepping for a crowd, simply line your jars up, fill with fruit, pour the cider, and slide those lime pops in assembly-line-style. It’s not any more work than tossing everything into a pitcher, and everyone gets a tasty little snack of fruit after sipping their Hard Cider Sangria-by-the-Glass. When you pour your hard cider into the jar, be sure to leave about 1 1/2 inches of head space so that when you slide your lime pop in, it doesn’t displace hard cider all over your counter top. You can top the glass or jar off if you find there’s ample room after adding your lime pop. 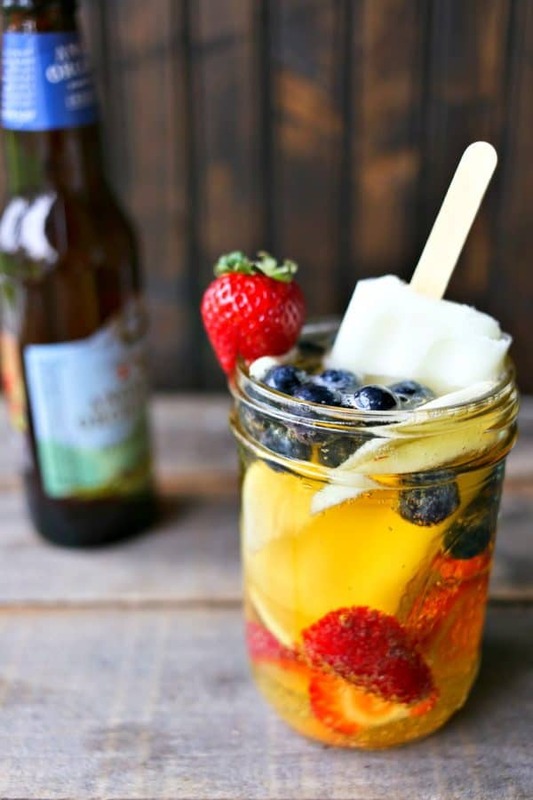 Summer fun in a glass: fresh fruits soaking in crisp hard cider chilled and sweetened with a lime popsicle. Classy? Hardly. But it's delicious! 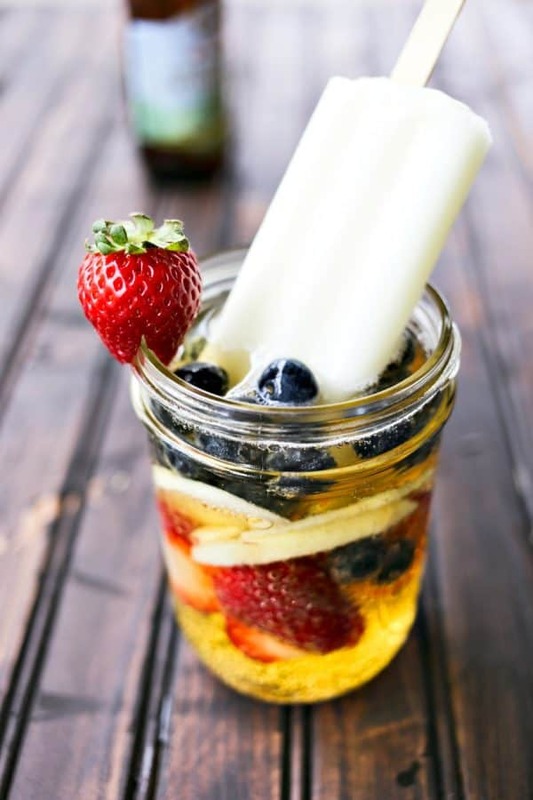 Layer the sliced apples and berries in a pint jar or other similarly sized glass. Pour the hard cider over the fruit to within an inch and a half of the rim. Slide the lime ice pop into the glass and use the stick to swirl it around a bit. Top off the glass with additional cider if needed. Serve immediately with a straw. This is a perfect quantity for our house, too! Love this idea, especially since I already enjoy hard cider. May I politely suggest peaches and a basil leaf or two? Oooh. You MAY! That sounds perfectly lovely!!! I love the addition of lime pops! Yum! Try using frozen berries. Sounds delicious! !